Usborne Peep Inside Collection 4 Books Set. Peep Inside The Sea, Peep Inside Space, Peep Inside the Jungle, Peep Inside the Castle. Down in the jungle there's a chatter and a squawk. Is it the mummy tiger with her cubs?. Usborne Peep Inside a Fairy Tale Collection 4 Books Set. Peep Inside a Fairy Tale Cinderella, Peep Inside a Fairy Tale Beauty & the Beast, Peep Inside a Fairy Tale Sleeping Beauty, Peep Inside a Fairy Tale Little Red Riding Hood. 3 Russian children cardboard books 3 книг картонок малышам Колобок и др. New 3 cardboard books in Russian forchildren 2 year old. Classic Russian Stories. Мишка Косолапый. Краденое Солнце. 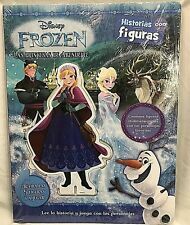 (Disney Frozen) Las Princesas De Arendelle Autor(es) / Author(s):Disney. Editorial / Publisher:Libros Disney 2016. Spot's Christmas by Eric Hill (English) Board Books Book Free Shipping! By Eric Hill. Eric Hill resides with his family in California. Spot is so excited, keeping a sharp eye out for any flying reindeer, he almost forgets to leave milk and cookies for Santa! Author Eric Hill. 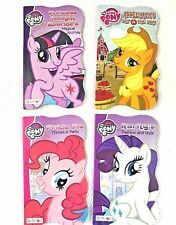 Included: 4My Little Pony Board Books. MY LITTLE PONY. 3 Russian children cardboard books 3 книг картонок малышам Путаница и др. 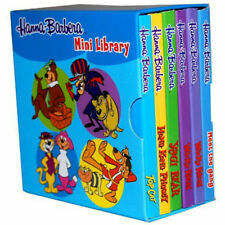 New 3 cardboard books in Russian forchildren 2 year old. Classic Russian Stories. Стихи для малышей. I Have a Book by Karen G. Jordan and illustrated by Alicia Padron. This is a new Highlights Let's Grow board book. This is a must have book for the child in your life. Lovely illustrations and the cute story will have that special child in your life asking you to read it again and again. 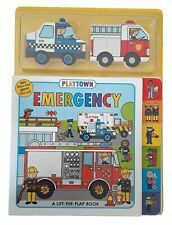 Playtown Emergency 3 Fun Board Books Lift the Flap 2 Mini Bks Kids Toddler New. 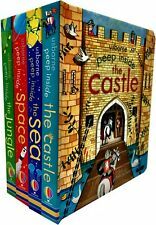 Usborne Peep Inside Collection 4 Books Set Tiltes in the Set Peep Inside The Sea, Peep Inside Space, Peep Inside the Jungle, Peep Inside the Castle Usborne Peep Inside Collection 4 Books Set Tiltes in the Set Peep Inside The Sea, Peep Inside Space, Peep Inside the Jungle, Peep Inside the Castle. Lion Cub loves her mummy. Little Bear was lonely in his new house. He missed his friends, badger, bunny and mouse. he decided to write them a letter, but he never guessed what would happen next! Best Friends Forever. 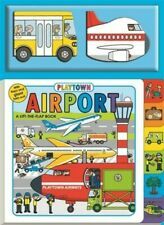 Playtown Airport 3 Fun Board Books Lift the Flap 2 Mini Bks Kids Toddler New. Things don'talways go to plan, but that doesn't matter one bit. Peppa Pig storybook available for sale. It is an early reader board book. It has an ISBN number of 978-0-723-29797-0, an RRP of £3.99, and is published in the UK by Ladybird Books. These Ladybird board books provide an introduction to big machines, things found at home, animals found on the farm and a host of favourite animals. They have bright and bold artwork and are perfect for children who are just starting to learn their first words. Titles in Collection Big Machines At Home On the Farm Favourite Animals.